Story: Toby is one of the kids living in Nottingham. Background notes: Toby is one of the characters created for the Disney version of Robin Hood, and not a part of the original Robin Hood mythology. 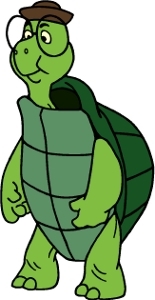 Like the rest of the cast, he first appeared in the cartoon Robin Hood in 1973 (voice by Richie Sanders), and like the rest of the cast, it has been the only appearance in cartoons so far. In the team of kids, Toby is the smart and slightly timid one. A single figurine with Toby has been seen, but other than that, the character hasn't been seen in other media.